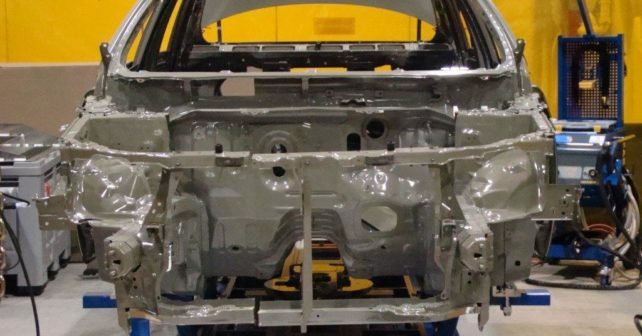 Based on past experiences and on-going impasses in the MBR Industry, the need arose to create a fair, equal, transparent and independent industry body standard (grading criteria) for all Motor Body Repairers (MBRs). This includes MBRs of all sizes, origins and ethnicities. It is also to create an industry which is reputable at large, competitive within itself, accessible as well as manageable for all Motor Insurance Companies. The introduction of these standards will create an universal platform for all Motor Insurance companies within South Africa, with no variation between their standards and requirements concerning MBRs. This will help prevent discrimination, uncertainty and unwanted errors in the selection process. Therefore, it was agreed in consensus among delegates from the MBR Associations and the South African Insurance Association (SAIA) to establish this tool which allows to evaluate the MBRs without prejudice. An independent Third Party, (Bureau Veritas), has been appointed to assist in creating and implementing this tool. The delegates of the industry believe that this will provide a fair and equitable overview of the minimum compliance required to run a professional and well-equipped motor body repair business. The main purpose of the platform is that MBRs of all sizes, origins and ethnicity will be given an impartial and identical opportunity, without preconception, to comply with the reasonable grading criteria and become a graded MBR. MBRs will be treated fairly and similarly throughout the complete, transparent and unbiased process thereof. The National Grading Criteria includes basic equipment, standard environment and employee requirements that have to be fulfilled. Therefore, MBRs that comply with the criteria will be able to deliver service on an equal quality level giving all MBRs equitable and identical opportunity at receiving work from insurance parties. The quality of the service that certified MBRs deliver will be of good standard, the service will be delivered more time efficiently and effectively, increasing productivity and work load. Efficient and effective service delivery improves customer satisfaction and may increase work opportunities tremendously. The fact that ALL SAIA members (major insurers), embraced the standard as the Industry standard applicable to ALL repairers / MBR’s wanting to procure with them, underscores the fact that it is crucial that members / MBR’s not delay or postpone to register with Bureau Veritas, given timelines for accreditation, provisionally set for September 2018. Bureau Veritas is a world leading, professional services company, offering bespoke solutions to help organizations and businesses achieve, maintain and demonstrate compliance with quality, standards, health,, safety, environmental and social responsibility.